It’s been a busy month, but I had to pop in to wish you all a very, very happy new year. 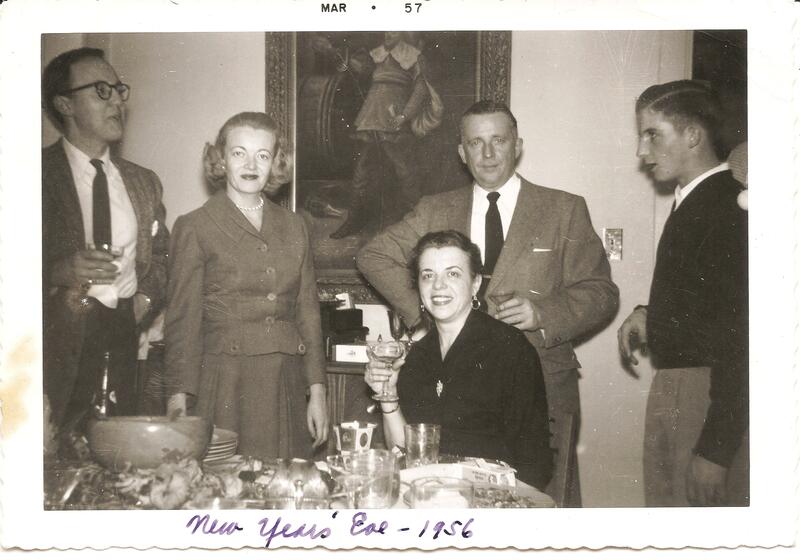 And while I’m at it, I figured I’d share this photo of my grandma Mary (second in on the left, next to the guy in the glasses) on the eve of 1957. The thing I love most about Dec. 31st doesn’t have anything to do with bubbly drinks, big meals or fancy dresses. Taking stock of the year that has past and making plans and resolutions for a better, brighter and happier new one—that’s where it’s at for me. I wish you all wonderful evenings, whether you celebrate in sweatpants or sequins. Call a cab, sleep on a couch or get a free ride home, just be safe. This entry was posted in Uncategorized and tagged family, good times, vintage pic by highplainsthrifter. Bookmark the permalink.